A-Z doesn’t stop here. No, not in Sweden. As if the Swedish language isn’t difficult enough to learn, there are three more letters of the alphabet to contend with: Å, Ä and Ö. These letters are partly what gives the Swedish language its distinctive sound and can be a bit difficult for foreign learners to get their brains and mouths around. 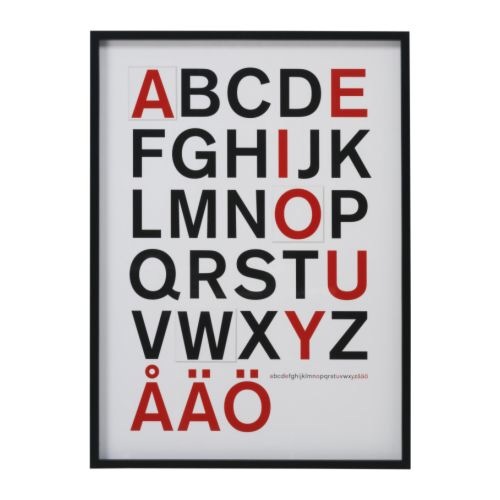 Interestingly, the letter Ö is also a word – Island. Think about that if you head into the archipelago and see many of the place names ending with ö. Next Post Do Swedish good looks make good politics? So is the letter Å! We do have the word Å also. Which is one of several for river.